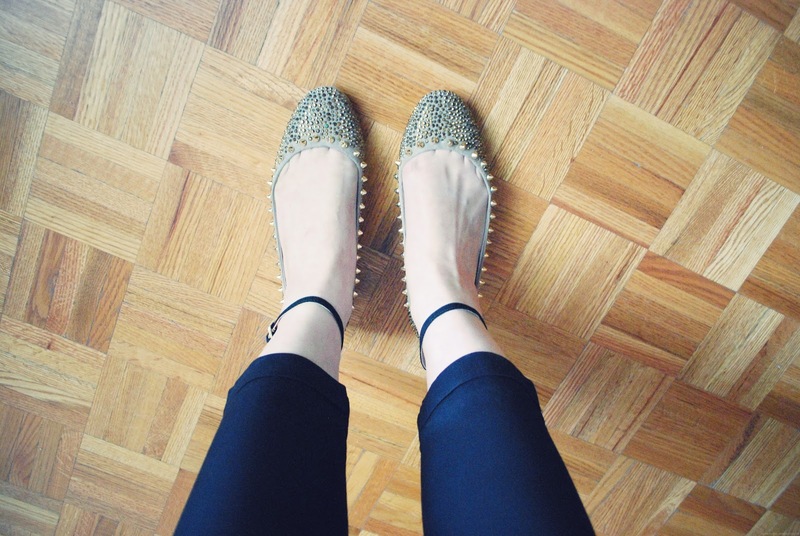 I gave in to my obsessions for shoes and went to Zara and bought these jeweled and studded ballerina flats over the weekend. 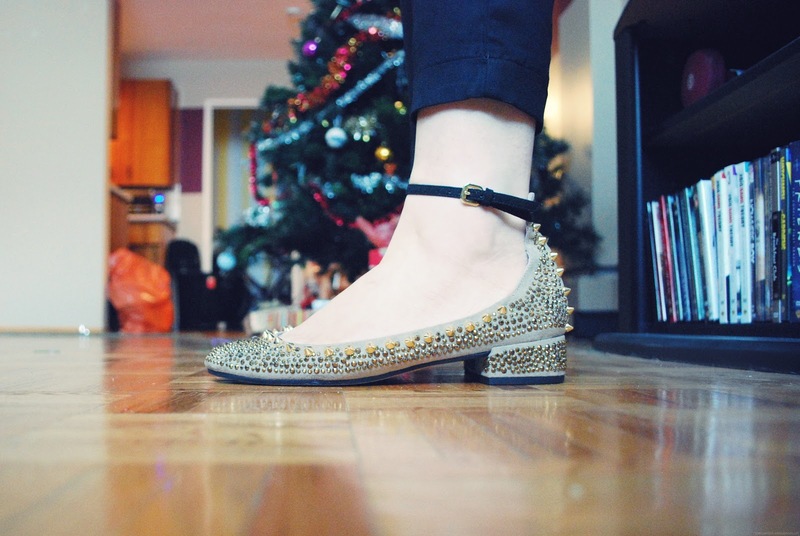 They are unique and striking with the combination of jewels, studs and a cute ankle strap. The only thing I'm afraid of is wearing them outside in the sub-zero weather and ruining the suede by stepping in slush. So these pretty things might have to wait for a dry and warm day. Yesterday I also had a bit of time to use my new Madeleine pan and try out a new recipe. It was my first time going to Lina's Italian Market and it was fun to look through all the Italian goods and varieties of pasta, cookware, and of course desserts. Though Madeleines are a French dessert I cannot deny myself a baking pan that only costs $8 compared to the one at Williams-Sonoma that had been keeping my attention for the last few months and retails for $38. Whisk the eggs and sugar with an electric mixer for 5 minutes, until pale and tripled in volume. Slowly fold in the flour and butter, then the vanilla, lemon zest and pinch of salt. Chill the batter in the refrigerator for two hours before baking (I didn't find a need to do this maybe chill it for 1/2 and hour if you like). Pour into the prepared molds (mine was a bit thick so I spooned it into the molds and spread it around a little), halfway full, and bake for 7-8 minutes. These would be a great with your morning coffee or my favorite is dipping them into my hot chocolate after all the whipped cream has been eaten off.